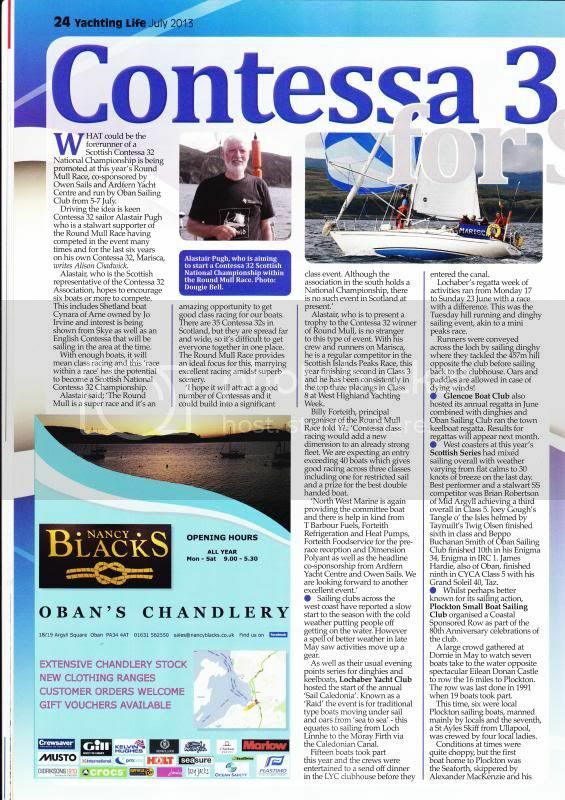 That organ of the free press "Yachting Life" has produced a puff piece in the July issue with the full width headline - "Contessa 32 Nationals for Scotland ?" Entries for the Round Mull Race are still being accepted so why not join in? One error is that the cup is the Association's, not mine.